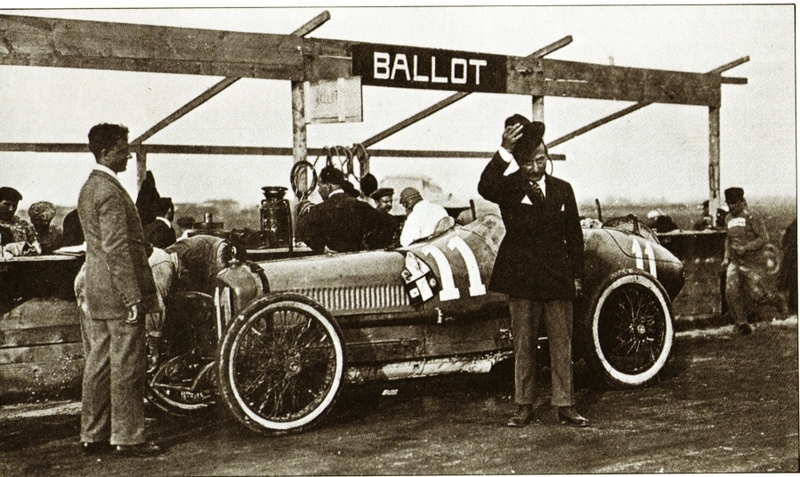 Just four of these 3-litre, 8- cylinder twin overhead camshaft Ballots were built, all of which were Works (factory) cars and between them raced at the 1920 and 1921 Indianapolis 500, the 1921 French GP (at Le Mans), and the 1921 Italian GP (in Brescia). They were fabulously engineered, very fast machines of the very highest quality with a spectacular engine. When the International Formula changed to 2-litre cars in 1922, these four cars were sold off. 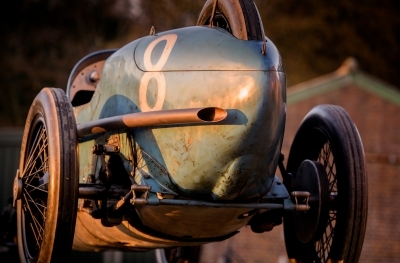 This particular car was bought by Sir Malcolm Campbell in 1923, who painted it blue and raced it at Brooklands in a number of events (famously calling it "Bluebird"). 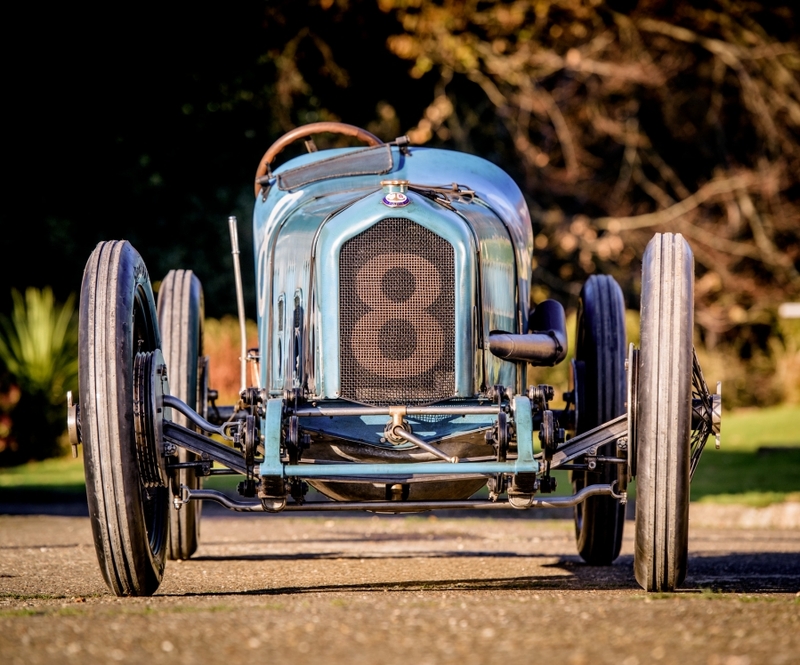 In 1926 he sold it to Jack Dunfee who continued its Brooklands racing career with great success until 1933 when it was acquired by Joan Richmond. She sold it to Capt Denis Shipwright and in 1936 Cecil Clutton bought the car in partnership with Watkins-Pitchford. Micheal Crowley Milling bought it in 1940 and later gave it to his brother Humphrey. When Humphrey Milling passed away, the car came out of a one family ownership of over 70 years. The car has a huge file of history and lots of lovely photos, letters, etc. 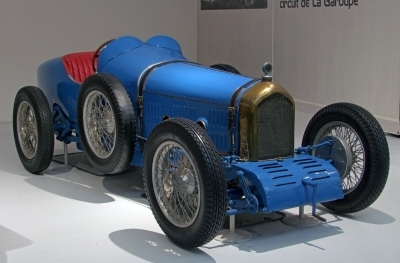 Of the surviving cars, Musée National de l’Automobile has one. There is another one with American George Wingard, but that car has a brand new engine and new body. The car is not completely unknown, but has been ‘underground’ for many decades. And it has been mistaken for the car that was driven by Louis Wagner. 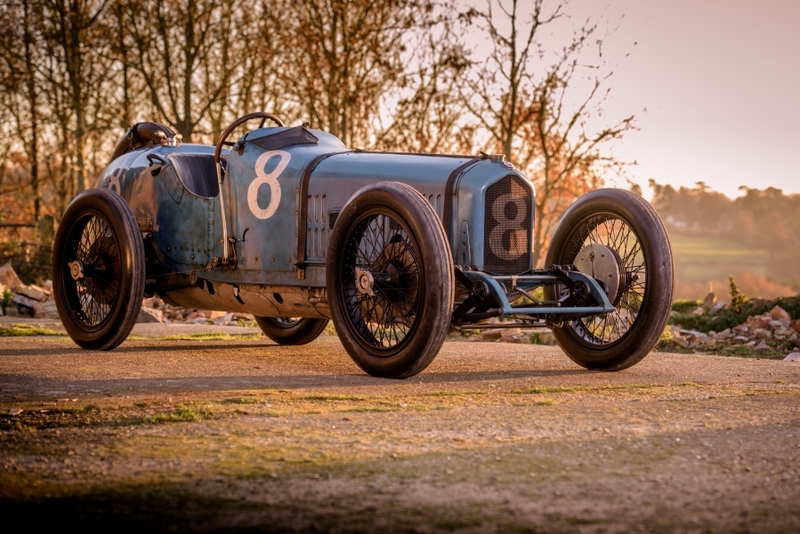 But now we have evidence that this car is the one that was number 8 at Le Mans in 1921 and was the car that was raced by Jean Chassagne. 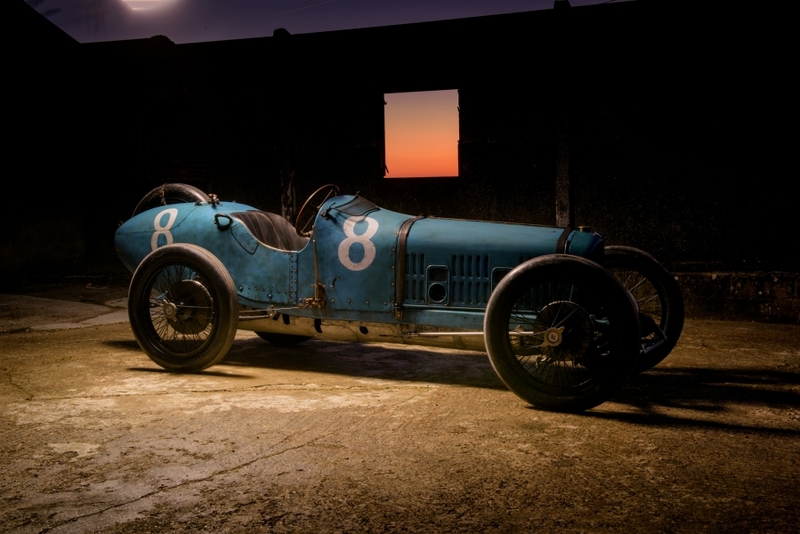 For the first time since 1921, 96-years later, two of these fabulous Ballots – the other being the one from Musée National de l’Automobile – were reunited at Retromobile 2017, as this beautifully preserved and amazingly original car comes out of hiding.